We have been using the Tru-flex netball surface for the past 30 years with great success. 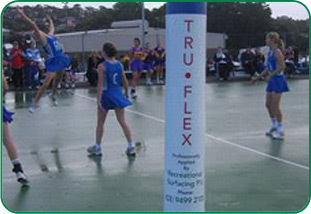 In 2008 Tru-flex was chosen as the preferred surface for the Ku-Ring-Gai Netball Association’s courts at Canoon Road Turramurra. Applied as a four coat emulsion upon the existing Plexipave surface. The cost and speed of the resurfacing received praise from both the Ku-Ring-Gai Council and the Ku-Ring-Gai Netball Association. This has led to further projects from both council and the association. The 4 courts for Ravenswood were surfaced in 1978 and resurfaced in 1990. The 6 courts for Hornsby/Killara were first surfaced in 1978, resurfaced in 1984 and resurfaced again in 1991. The 12 courts for Wollongong Tennis Association were first surfaced in 1978, resurfaced in 1985 and resurfaced again in 1992. 2 courts for Lower Clarence Tennis Association, Yamba were first surfaced in 1980 and resurfaced in 1992. 10 courts for Manly Warringah Tennis Association were first surfaced in 1982 and resurfaced in 1991. 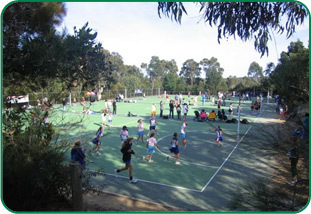 12 courts for Department Sport and Recreation, Narrabeen Fitness Centre were first surfaced in 1979, resurfaced in 1985 and resurfaced again in 1992. 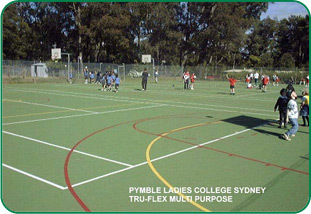 9 courts for Pymble Ladies College. These were done over a period of 6 years. 7 courts for Frencham Girls School first surfaced in 1984 and resurfaced in 1992. 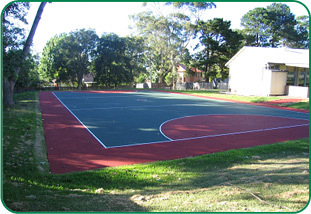 4 courts for Sydney Boys High were first surfaced in 1977 and resurfaced in 1989. 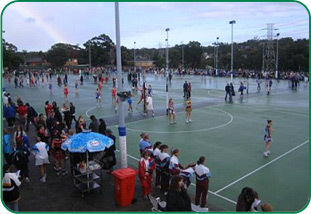 5 courts for the Macquarie University were first surfaced in 1978 and resurfaced in 1988.